Beijing is on the move. 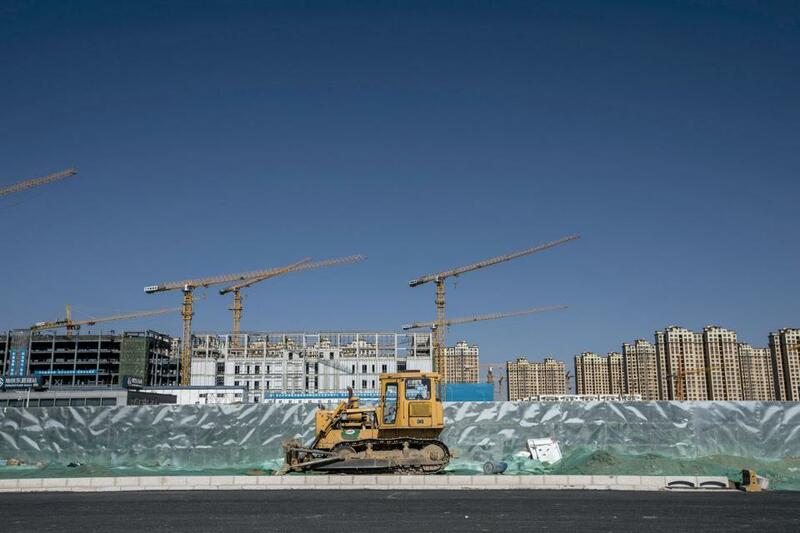 An ambitious plan to relocate half a million people from the city’s center to its outer district of Tongzhou came closer to fruition on June 21, when a draft urban plan of the new “sub-center” was released for public review. Compiled by the Urban Planning, Land and Resources Commission of Beijing Municipality and Tongzhou District government, the plan, which has seen several rounds of revisions over the past two years, envisions a comfortable space that is green, modern, human-centered and well-balanced, to be completed by 2035. The sub-center will fulfill three main functions – government administration, business services, and culture and tourism – and be home to between 400,000 and 500,000 relocated residents. The change is intended to free up space in the capital, rein in urban ills and link with the development of the Beijing-Tianjin-Hebei Region. Drafting of the urban layout plan began in May 2016 when the central government decided Tongzhou sub-center would join Xiongan New Area to form the capital’s two wings. Since then, the construction of both areas has become a national strategy. Located in eastern Beijing, Tongzhou became one of the city’s 14 satellite districts in 1993. In 2005, it became one of the capital’s three main new development areas. Beijing has seen a great influx of residents each year since 2010, increasing congestion and pollution, so in 2012, municipal authorities decided to adjust the layout of the capital, proposing Tongzhou as a sub-center after studying the development experience of other international metropolises. Wang Zhiyong, a researcher with the Institute of Population and Labor Economics under the Chinese Academy of Social Sciences (CASS), told NewsChina that Tongzhou was chosen primarily because of the distribution of Beijing’s population. Official statistics show the north and west areas of Beijing saw the largest population growth between 2000 and 2005. From then on, however, Beijing’s east began to grow. Chaoyang District in eastern Beijing saw its population grow by 1.25 million from 2000 to 2010. In Tongzhou alone, the population grew an extraordinary 75 percent from 2005 to 2017. Construction on the sub-center began in 2012. In June 2015, The General Outlines for the Coordinated Development of Beijing-Tianjin-Hebei Region rolled off the presses, positioning Tongzhou as the subsidiary administrative center of Beijing – and instructing the municipal government to relocate its administrative bodies from downtown Beijing to Tongzhou in order to improve public services and balance the population. In May 2016, however, the central government made a major adjustment to the role of Tongzhou, changing it from a subsidiary administrative center to the sub-center of Beijing. Experts argue the change of functions and roles suggests the new sub-center will be comprehensively developed, echoing Shinjuku in Tokyo, La Défense in Paris and the Manhattan Area of New York, rather than being simply an administrative region of the local government. It was after this role adjustment that Beijing Municipal government began drafting the layout. In the opinion of Li Guoping, director of the Capital Development Institute of Peking University, the plan has a lot to achieve. “Apart from easing population pressure in the capital, the sub-center has to boost the coordinated development of eastern Beijing, the entire capital and even Hebei Province,” he told NewsChina. According to the draft layout, the sub-center will occupy a space of 155 square kilometers, accounting for nearly 20 percent of Tongzhou. It is designed for a permanent population of 1.3 million, including a labor force of 700,000 to 750,000. The area of urban construction land in the sub-center will be capped at around 100 square kilometers with the building area about 100 million square meters. The layout also reserves an area of nine square kilometers for further development and innovation projects. Li Xiaojiang, former head of the China Academy of Urban Planning and Design, told NewsChina the urban layout did not need to be overwhelmed with “excellent design elements,” but that “elasticity” was needed, with space to accommodate future possibilities. In terms of planning, the sub-center is expected to use the ancient Grand Canal as its main ecological belt, and Beijing’s Sixth Ring Road as its central developmental axis. A Grand Canal Cultural Belt will be established to preserve the area’s historical and cultural charm. A canal business area, a transport hub and a green belt will be established. Green space will cover 40 percent of the sub-center and a total of 38 new parks will be completed by 2030, enabling local residents to access green space less than 500 meters from their homes. A highlight of the plan is the construction of “home centers” equipped with facilities that meet residents’ needs in employment, medical care and recreation that are no more than 15-minutes’ walk from each home. Yin Zhi, an architecture professor at Tsinghua University, told our reporter that while green cities may evoke images of grass and flowers, the true greenness of a city is down to how much it can reduce waste on transportation and energy. Wu Zhiqiang, vice-president of Shanghai-based Tongji University and a scholar with the Chinese Academy of Engineering, said a significant problem plaguing the capital is the long distance between work and residential areas. “Through a big data simulation, the sub-center could meet the main six functions of cities, including living, working, education and business within a 15-minute walk. This will help address urban ills,” he said. Official statistics show that to date, more than 70 percent of the working population in the sub-center work in the city center, causing significant congestion when they commute. Scholars and urban designers argue that the title of sub-center of Beijing is of no significance, and it is high time to cultivate leading and competitive industries in the sub-center to attract skilled professionals and provide jobs where they live. “The government has pushed to build the sub-center into an area for living. No matter how beautiful the environment is, it remains a dormitory city rather than a modern city,” said Zhang Chaowei, deputy director of the Institute of Modern Urban-rural Development Planning under CASS, emphasizing the importance of innovation and emerging industries in the sub-center. According to the Beijing Municipal Commission of Economy and Information Technology, the sub-center will give priority to a number of emerging industries, aiming to turn the region into a center of the big data industry in areas including artificial intelligence, cloud computing and blockchain technology.